Finding the Hero in Your Husband is an essential tool for understanding the Christian concept of submission - a frequently misunderstood and often contentious subject. 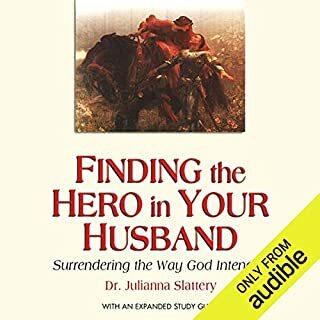 Dr. Slattery combines Christian principles, her professional expertise as a psychologist, and personal experience as a wife in this indispensable book to help women improve their marriages. What kind of people does God use to accomplish His work? Far from the children’s tales depicted in picture books and nursery rhymes, the men and women highlighted in the Bible were unnervingly real. They faltered. They struggled. And at times, they fell short. Yet God worked through them in surprising and incredible ways to accomplish His purposes. Scripture does not hide their weaknesses, caricature their strengths, or spin their stories as a display of human nobility. Contrary to popular belief, we do not have to be perfect to do God's work. Look no further than the 12 disciples whose many weaknesses are forever preserved throughout the pages of the New Testament. Jesus chose ordinary men - fisherman, tax collectors, political zealots - and turned their weakness into strength, producing greatness from utter uselessness. MacArthur draws principles from Christ's careful, hands-on training of the original 12 disciples for today's modern disciple - you. 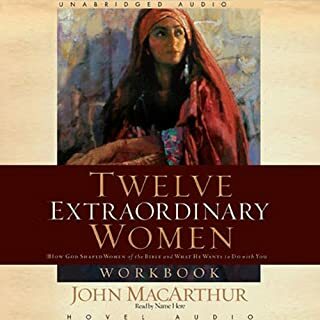 What made the experience of listening to Twelve Ordinary Men the most enjoyable? This book helps you to understand each of the disciples background. It gave great insight into the characteristics and how Jesus dealt with each of them. Great book for leaders who have to deal with people of differing personalities. A must read for Pastors. Chapter two was the most impactful for me because he talked about Peter and that is who I am compared to by people. It helped me to understand more how people see me. Every Pastor should have a copy of this in their library. Difficult Listen: More dissertation than story. 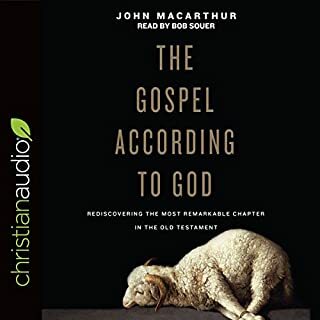 The content of this audio book was wonderful. A well-researched, accurate depiction of Biblical content. However, it wasn't the most enjoyable listen. It had the feel of a dissertation that sometimes morphed into a sermon. 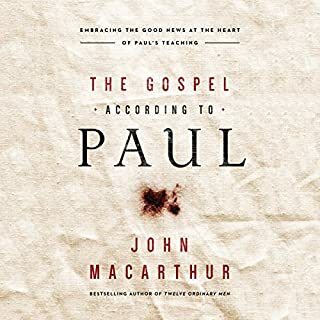 I absolutely love John MacArthur, so this review in no way reflects his knowledge of the bible. But, if you want to listen to a "story" about the disciples, I don't feel this hits the mark. My primary difficulty resulted from the narrator's need to cite references throughout the audio. So start with content then stop for a bibliographic reference. It really disrupted the story flow for me. 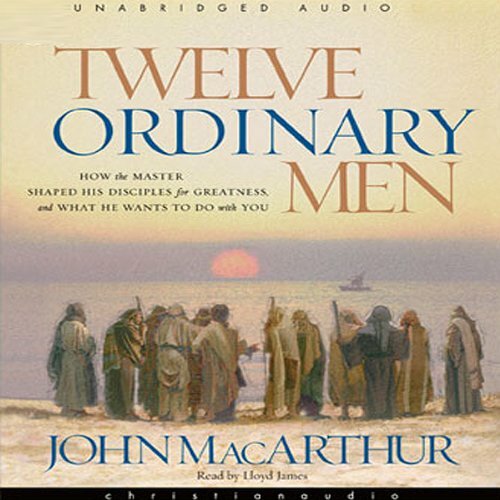 Would you listen to Twelve Ordinary Men again? Why? Yes. I learned a new way of thinking about these men. Easy to listen. Reader had a very good voice. This was a very unique, enlightening, informative look into the apostles. I think I might have learned a few of these nuggets in a study here or there but never would have had it all just specifically laid out for me. Knowing each of their characters, strengths and mostly weaknesses and how God used them was inspiring. If He can do something amazing with these flawed men why not me too? I probably would never have read this book, but I sure loved listening to it. That's the great thing about audio books. The story of ordinary men God used in extraordinary ways. A professoral look at the Twelve Broken Men. The book was a gift from a good friend. I had to get used to the style it was presented in. After I stayed with it I was blown away at the story telling and knowledge. it is a beautiful story of faith that was not always easy. I felt that I was there walking with them. So much makes more sense now. This book is really worth your time. Just start it and let it play. I loved this book. His descriptions of the everyday lives of these men makes them very human. 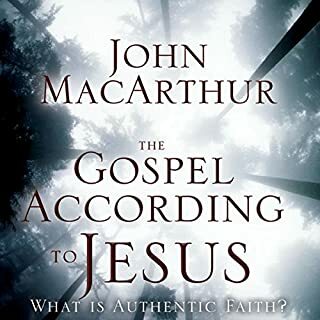 This is the first book I have read written by John MacArthur and I plan to check on more of his books. Puts together the time line of Jesus ministry in a way that I never realized or occured to me with the many years that I have read the gospels. 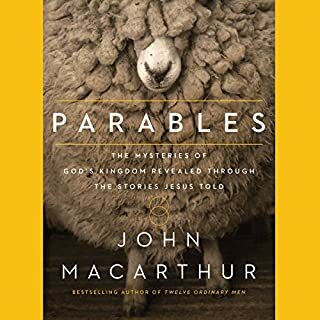 Many moments of connecting the dots to gain better understanding of the life of Jesus. Good flyover account of the lives of the 12. This is a good overview of the 12 disciples of Jesus. At the start he mentions it comes from a sermon series he did that was really popular, it it reads like a long series of sermons. Not a bad thing, but it’s by no means an exhaustive account. I’d say this was good “beginner” level Christian reading, and there is nothing wrong with that! I am very interested in the topic and hearing everyone's thoughts. He supports his statements with scripture and the locations. I was overwhelmed with the repetition. Sometimes the repeat was the very next sentence. It is possible that the book would have been 30% shorter without the repetitive statements. Worth the read, but a little disappointing. Loved the book. Made our renewal group think differently about the disciples. Everyone should read this book.